Callum Falconer, Chief Executive of Dundeecom. 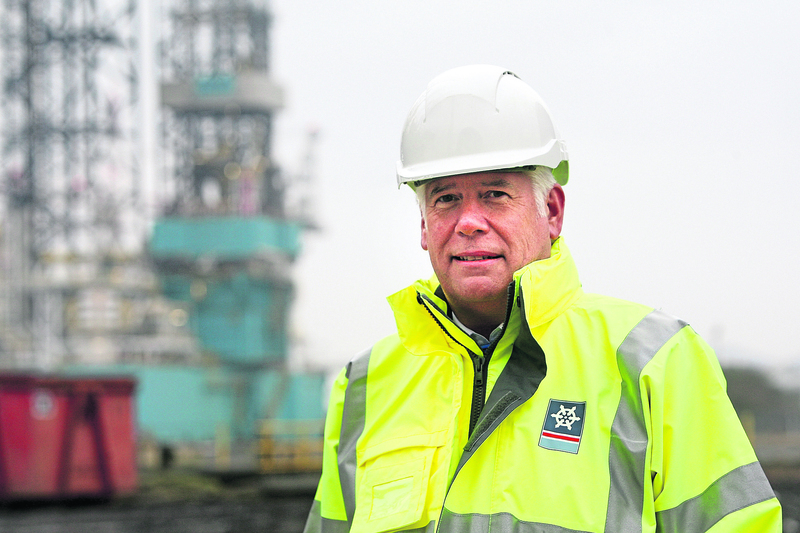 The taxpayers’ bill for developing facilities to create a North Sea decommissioning hub in Shetland could reach £100 million, the leader of the unsuccessful attempt to win the work for Dundee has claimed. The Scottish Government, backed by the Oil and Gas Authority (OGA), has selected Dales Voe in Shetland ahead of the Tayside city as the preferred location for the UK’s first ultra-deep-water port for large-scale dismantling work. Calum Falconer of Dundeecom said the move “flew in the face of impartiality, objectiveness and fair competition” and claimed the “hand out” from tax payers to fund the development would “likely be in the region of £100m”. The Scottish Government responded by saying it was not a figure it recognised in any “present or past Scottish Government decommissioning policy”. He added that Dundee had a “superior quayside, similar water depth and channel access, and far better logistical infrastructure”. Energy minister Paul Wheelhouse said the Scottish Government will shortly publish the “independent and impartial” feasibility study which identified Dales Voe as the preferred site. He added that Dundee cannot accommodate “heavy lift” decommissioning vessels and that Dales Voe was a “clear frontrunner” for such a facility. An Oil and Gas Authority (OGA) director has said the move to create an ultra-deep-water facility in Scotland is essential to compete with Norway for decommissioning work. Stuart Payne, director of HR and supply chain, said developing the Dales Voe port in Shetland for ultra-deep vessels would help capitalise on the North Sea decommissioning opportunities. He said: “In recent years, we’ve seen a number of sizeable platform removal and disposal contracts awarded overseas to places like Norway, where there’s also a first-class supply chain. “The UK needs to be able to demonstrate it can compete against not just Norway, but suppliers from all over the world. Dundeecom is already working to establish a partnership with Norwegian operator AF Gruppen in the hope of establishing a base in Dundee. The government agency’s latest estimate put the projected cost of decommissioning the North Sea’s facilities at £58 billion. Mr Payne said he expected Dundee to play a “key part” in future decom work. “We know there may have been disappointment around a recent Scottish Government announcement identifying Dales Voe in Shetland as their preferred location for a possible ultra-deep water port,” he added. “But we should recognise that an ultra-deep water port is only one specific type, and having one doesn’t mean we have solved the decommissioning challenge. “Given the scale and diversity of the UK’s decommissioning work, it’s clear that the UK needs a selection of different ports with varying capabilities and a skilled, capable supply chain.